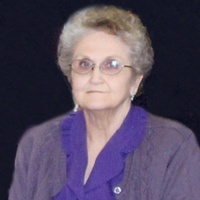 CARBONVILLE-Letha LaVon Lewis DiCaro, 75, passed away peacefully February 17, 2019 at her home. She was born March 12, 1943 in Tremonton, Utah to Vaughn R. Lewis and Ora Letha Roche. Married Floyd J. Edwards, August 10, 1962 in the Logan Temple; later divorced. On March 1, 1985, she married Albert F. DiCaro in Salt Lake City. LaVon was a well-loved wife, mother, grandmother and great-mother who enjoyed spending time with family at their outings. 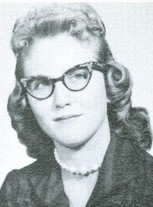 She was a member of the Church of Jesus Christ of Latter-day Saints. LaVon loved the primary kids and taught many young people. Over the years she coached softball teams, was a Boy Scout pack leader, and participated in the PTA. She loved to garden and spend lots of time on her roses and garden beds at her home in Carbonville. She was a member of the American Legion Auxiliary and enjoyed participating in the Girls State Program. LaVon worked as a CNA for many years in Salt Lake City and Price. She retired from the Southeastern Utah District Health Department and later worked as a coordinator for Rocky Mountain Home Health. LaVon was a sweet spirit who touched the lives of many in our area. The family would like to thank those who spent their time caring for her over the past year, especially Erin, Debbie, Ruby and everyone at Rocky Mountain Hospice. Your care for our beloved LaVon during this time is very much appreciated. She is survived by her husband, Albert F. DiCaro, Carbonville; children, Robert W. (Maggie) Edwards, Seattle, WA, Carolshene Powell, Cleveland, Richard (Tammy) Edwards, Columbia, Kyle J. (Tonya) Edwards, Price, Albert J. DiCaro, Las Vegas, NV, Helen M. DiCaro, Provo, Anna L. (Shaun) Ferguson, Louisville, KY, Bobbi J. DiCaro, Helper, Irean Harrison, Denhotso, AZ; 17 grandchildren, 11 great-grandchildren; sister, Gloria (Darwin) Burton, Stockton, CA, brothers, Farrel (Beckie) Lewis, Kaysville, UT, Val Dee (Cynthia) Lewis, Bothwell, UT, Lanny (Arlene) Lewis, Thatcher, UT; sister-in-law, Eileen Lewis, Fruit Heights, UT; brothers-in-law, Carm DeCaro, Mario (Marta) DiCaro, both of Price. LaVon was preceded in death by her parents, and a brother, Del Ray Lewis.